One of the joys of being a parent is in discovering and sharing books with your child. Both I and my daughter have been consistently charmed and delighted by the work of Oliver Jeffers. His books, including The Day The Crayons Quit, The Great Paper Caper and The Incredible Book Eating Boy, are beautifully illustrated but have a quirky, sideways view of the world which is surreal, amusing and thought-provoking. Jeffers has recently become a Dad himself and his new book, Here We Are, is an introduction to Planet Earth for his own child. 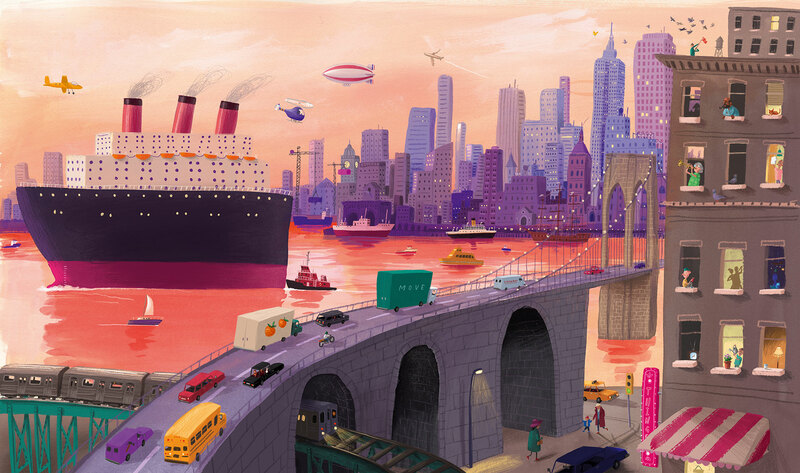 Read more about the curious world of Oliver Jeffers at Creative Review (free account required). Designer, Kevin Steele has created this spectacular introduction to letterforms. It’s a hand-crafted pop-up book, in an edition of three only, which acts as both an educational tool and a tribute to the craft of paper architecture. I wish there was a mass-production version. See more at Kevin’s web site. London design agency La Boca has created a series of luminous (and just a bit retro) covers for classic titles from Penguin’s Science Fiction list. This interview from Adobe Create offers some interesting insights into their creative and technical processes. I love the fact that they’ve kept to the spirit of the classic Penguin SF covers I grew up with but have brought a modern sensibility and have created animated versions suitable for the mobile era. This is brilliant, Dutch book designer Irma Boom has created a library of experimental books. One of our favourite design/art books at creativelab, is A Humument by the great British designer and artist, Tom Phillips. Finding an obscure Victorian novel in a London junk shop in the late 60’s, Phillips set about altering every page making the book into a hand-crafted, post-modern art object. It’s been through several editions over the years (including an iPad app) with new pages being added all the time. The project is finishing with a new, 50th anniversary special edition featuring a clamshell box and a limited print. We’ll be raiding the piggy bank for this. Useful interview with Paul Buckley, Creative Director of Penguin Classics and author of a new book on Penguin cover design. Useful page on book production for students of design and publishing from the Picador blog. 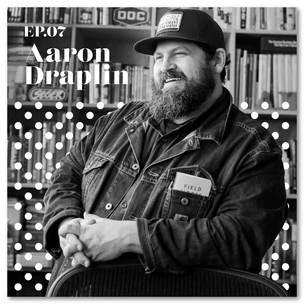 Interesting interview with Aaron Draplin about his new book. In 2013 Keith Houston published a terrific book on typography called Shady Characters. Not only was it a fascinating account of the origins of common (and not so common) characters but it was also beautifully designed and typeset. I’m pleased to see Keith has a new book coming up in August about the book itself titled, obviously enough, The Book. From the shots on the website, it looks every bit as interesting and as beautiful as Shady Characters.